Wynette married her high school sweetheart, Juel Bautz, on December 28, 1966 in New England, ND, after dating for 6 years. They adventured together for 58 years. Two kids, lots of dogs, camping trips, motorcycling, and always taking every opportunity to connect with family and friends. Wynette’s address book was thicker than a big city phone book and probably more accurate. She was a prolific writer and telephone talker, always planning the next time to see friends and family. Wynette would often sit down in the kitchen and page through her address book, always finding someone that she needed to call or write or schedule a trip to visit. She was infinitely interested in the lives of her high school friends, her college friends, her adult friends and her extended family. Connecting with family and friends was always Wynette’s first priority. Her second priority might have been shoes. And she loved the fact that she could shop in both the adult and children sections…more options! If you are reading this, there is a good chance that she asked you to go paddle boating with her at some point. And if you did, she probably showed you her rings and her carefully painted finger nails. 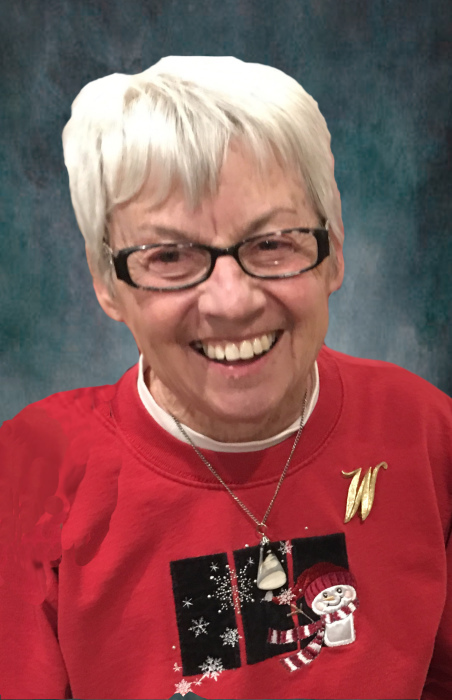 Wynette M. Bautz died on Thursday, February 7, 2019 after a long battle with Alzheimer’s at her home in Alexandria. She is survived by her loving husband of 52 years, Juel Bautz of Alexandria; sons, Travis (Michelle) Bautz of Alexandria and Justin (LaLonnie) Bautz of Dickinson, ND; grandchildren, Carissa Bautz of Alexandria, Tristan Bautz of Alexandria and Stacy Bautz of Dickinson, ND; brothers, Bob Walch of Erp, CA and Pat (Natalie) Walch of Rapid City, SD; cousin JoAnn Fredrich who was like a sister, nieces and nephews. She was preceded in death by her parents. A Memorial Service will be held on Monday, February 11, 2019 at 11 AM at Good Shepherd Lutheran Church in Bismarck, ND. Interment will be in the North Dakota Veteran Cemetery in Mandan, ND. Urn Bearers will be Wynette’s grandchildren and Honorary Urn Bearers will be all of Wynette’s nieces and nephews.